It’s freezing outside. Yes, I know it’s winter but still. It’s freezing. The kind of cold that sees me putting on my fluffy gown over my “day clothes” just to stay warm. Even though I love winter, I’m always caught off guard when it gets really cold suddenly, and that’s what happened this last week. We were still enjoying balmy days and cool nights, the kids were still playing in the sprinklers then all of a sudden. BAM! 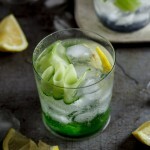 Here’s some cold for you! There was a sudden scramble for wooly socks, last year’s scarves and hats, I had to go buy the kids warm pyjamas because they were so cold at night and I got terribly excited at the thought of curries, stews, pies and comfort food in general filling our days. That’s the thing with winter. 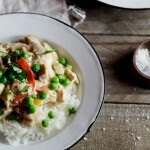 Even though I hate how cold my feet get and how dark it is when I get up every morning, that all goes away when I sit down to a spicy curry or rich, meaty pie that warms me from the inside. Eating in winter is just such a pleasure and one I indulge in whole-heartedly. 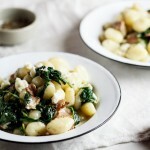 And indulge is exactly what I did when I made this delectable gnocchi a few nights ago. 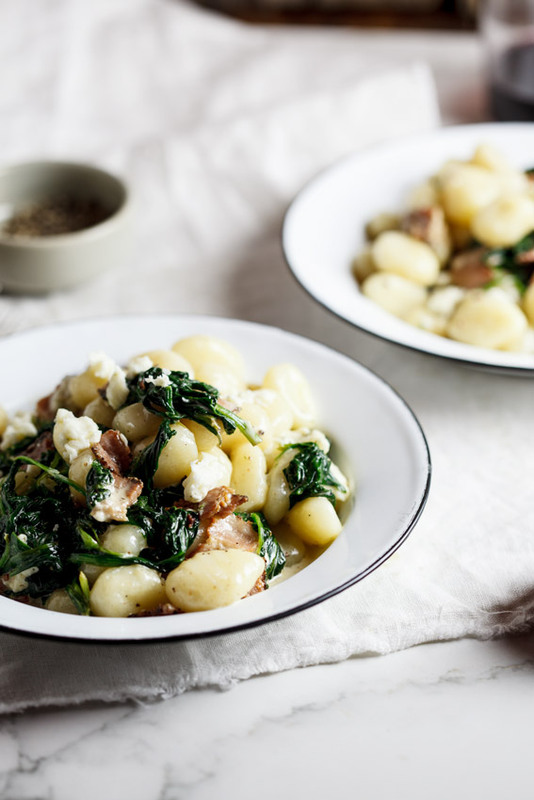 If you browse my site, you’ll see plenty of recipes for gnocchi like this one for Baked Gnocchi with bacon,tomatoes and mozzarella or this one for Gnocchi Carbonara. I am a proper fanatic. There’s nothing as delicious as soft, delicate, pillowy gnocchi with a really good, flavourful sauce. This sauce is really simple but so incredibly impressive. I’ve always loved the combination of bacon and blue cheese and thought the spinach would finish it off well. 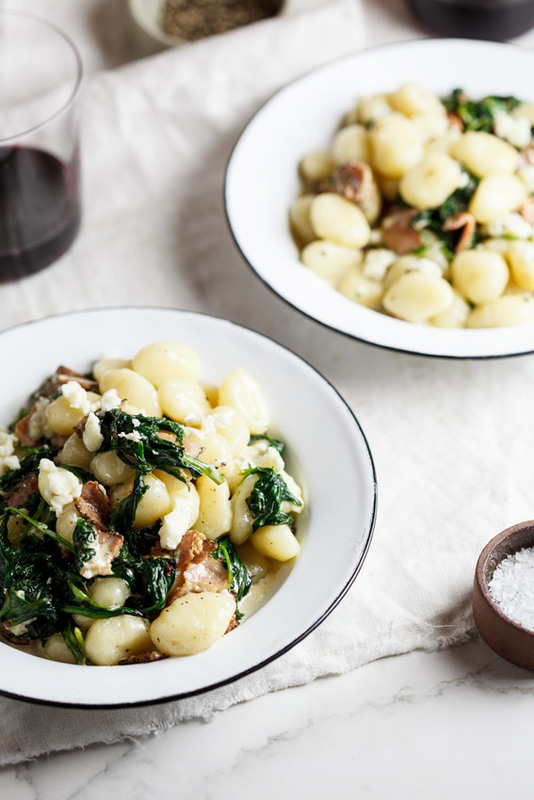 For extra indulgence you can add a splash of cream but if you would prefer, you can use the gnocchi’s cooking water to keep everything from being too dry or alternatively you can use a little plain yoghurt. But honestly, when I’m indulging, I’m going to do it properly which is why I choose to use cream. Serve in bowls, in front of the fire place with a good glass of red and you’re sorted! Bring a large pot of salted water to boiling point. In a large frying pan, fry the bacon until golden brown then add the garlic and spinach and sauté for another 2-3 minutes until the spinach has wilted. 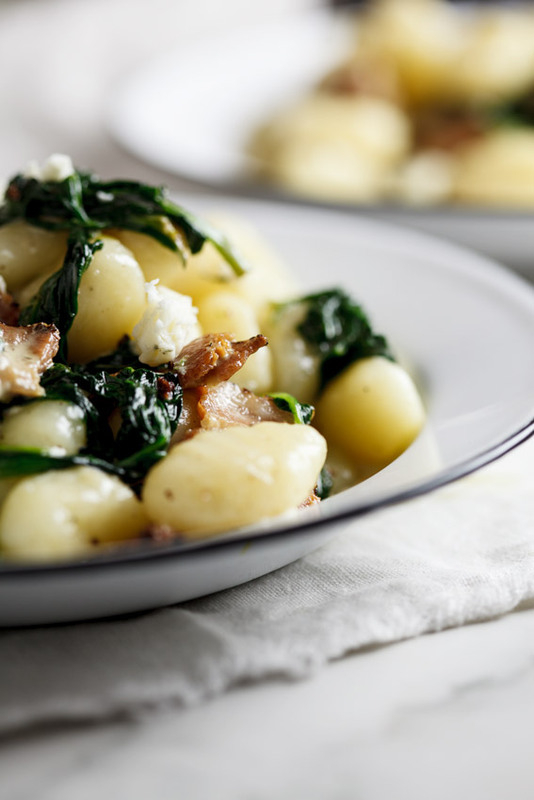 Cook the gnocchi in the boiling water until they float to the top then remove with a slotted spoon and add to the spinach and bacon. Pour in the cream (or some of the cooking water) and crumble in the blue cheese.